One drugstore brand I really wanted to try when I first got into blogging was Rimmel. Unfortunately, back then it wasn't available locally so I had to wait until I was given the opportunity to take a trip to Guam where I grabbed a few Rimmel goodies from their local Target. 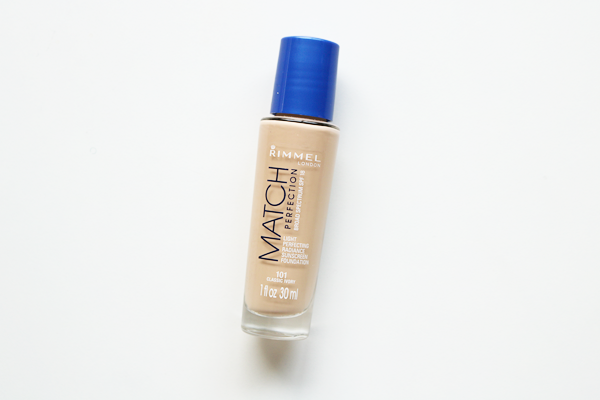 One of the products I got was the Rimmel Match Perfection foundation. "Traceless coverage foundation with Advanced Smart-Tone technology for perfectly flawless skin under any light. Enhanced with Sapphire Radiance for an illuminating glow. Lasts all day. UVA/UVB protection." Now what I have is the older version of the product since I got this way back in 2014. In fact, I think the packaging and/or formulation has been changed at least a couple of times already. If you check the Rimmel website, it looks significantly different to mine. Speaking of formulation change, I know the newest version is supposed to be more moisturizing and has SPF20 instead of the SPF18 mine has. Regarding the packaging of my version, I'd say the only aspect I don't like is the gaping maw of an opening it has. No pump and not even any kind of applicator attached to the cap. Once you twist it off there's just this, which means taking extra care when pouring it out. It eventually gets quite messy too so you'll have to clean it up every time you pour out some of the product. The bottle is made of glass too which I'm fine with since I know a lot of people don't like glass anything when it comes to their makeup. The glass combined with the opening, which has leaking potential, doesn't make it very travel-friendly though! 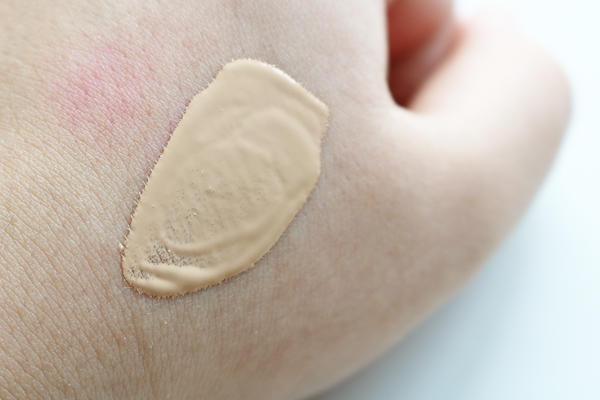 Since this is meant to be a medium coverage foundation, it is a bit on the thicker side in terms of consistency, but it's still easily blendable. When applying, I like using it best with my Real Techniques Expert Face brush. Oh, the shade I got for this is 101 Classic Ivory. Thankfully my skin has been behaving these past couple of weeks so there wasn't as much covering up needed, mostly my natural redness, dark spots, and pores. 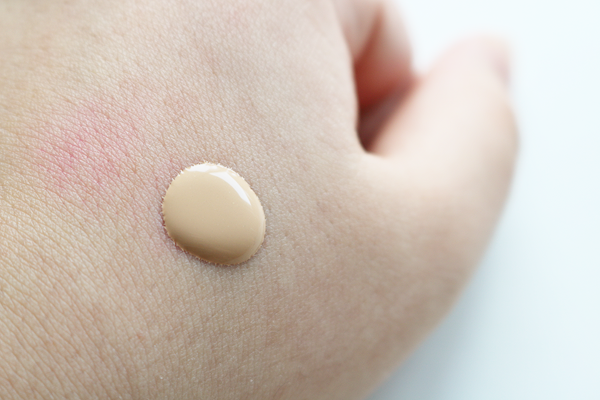 Thanks to its medium coverage, the foundation was easily able to even out my skin tone as well as minimize all the blemishes I just mentioned. There's still the slightest hint of red peeking through on my cheeks, but setting this with a powder foundation with light-medium coverage is enough to cover it up completely and make your skin look even more flawless. 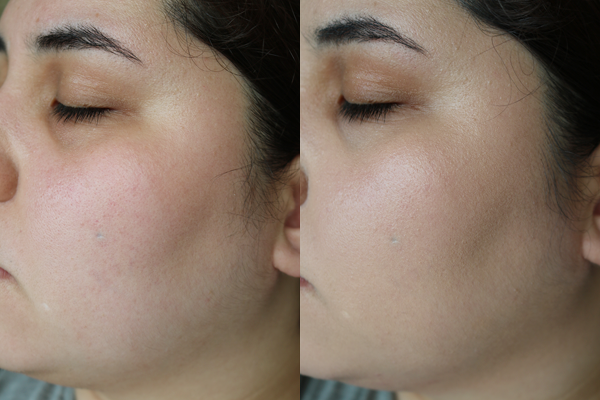 Like I said, blending it out is easy despite its slightly thicker consistency and it doesn't cling to or emphasize dry areas as long as I prep my face properly beforehand. I prefer using a brush with this because I find a sponge sheers it out a little. This makes the foundation flexible though. If you want a more natural and light finish, go with a sponge. If you want fuller coverage, build it up with a brush. Shade-wise, it's not exactly...a match. The fairness of it I can pull off, but under brighter or natural light it's clearly pink-toned whereas my neck has a visible yellow undertone. The shades in the Target I got this from were quite limited since most weren't available, so this was the closest to my skin color as I could get. If this had a yellow undertone I think it would be close to perfect for me. I don't like blending foundation too far past my jawline, so if I'm going to wear this I'll definitely need to set it with a yellow-toned powder that also has enough coverage to offset the pink. Oh, this transfers like crazy by the way. Despite setting it with powder and a finishing spray, it can still easily come off by just touching your face. Staying power is somewhere between poor to average, about 4-5 hours on its own. You'll need to set it powder because aside from anything coming into contact with your face, oil and heat/humidity is going to make it fade and disappear pretty quickly. While powder, as well as primer and a good setting spray, still isn't going to help that much it'll at least give the staying power a bit of a boost. Packaging isn't travel-friendly. 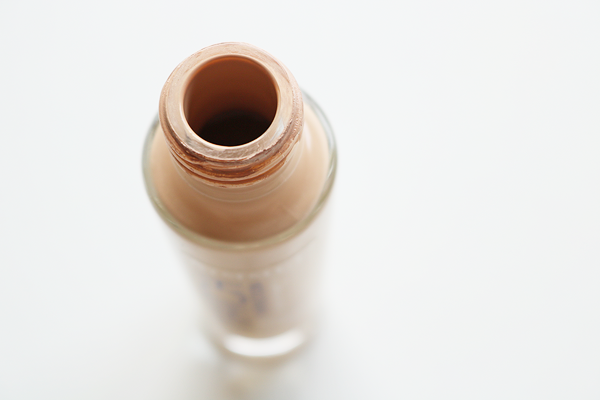 The bottle is glass and has a large opening (no pump or applicator). Has medium coverage that is buildable and blends out easily. Can be made more sheer and natural-looking by using a sponge instead of a brush. Contains a decent amount of SPF. Doesn't cling or emphasize dry areas as long as skin is prepped beforehand. Staying power is poor to average. Needs to be set with powder and used in conjunction with a primer and setting spray to help it stay. Shade is too pink-toned for me. Note: This particular version of the foundation may no longer be available to purchase in stores.